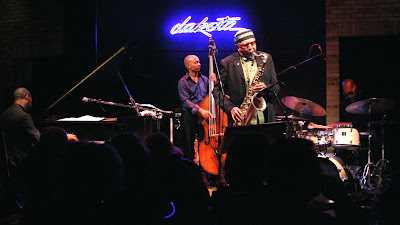 For the final song in last night’s second set at the Dakota, Charles Lloyd pulled up a piano bench beside Jason Moran’s chair, brought the mic close, and quoted a lengthy section from Christopher Isherwood’s translation of the Bhagavad Gita from memory (portions above). It made perfect sense in an evening of musical meditation. Click here for the full reviw at bebopified.